"Our findings suggest that an animal knows that even the perfect neural command is not going to result in the right outcome every time," says Emory biophysicist Ilya Nemenman. Image courtesy Samuel Sober. 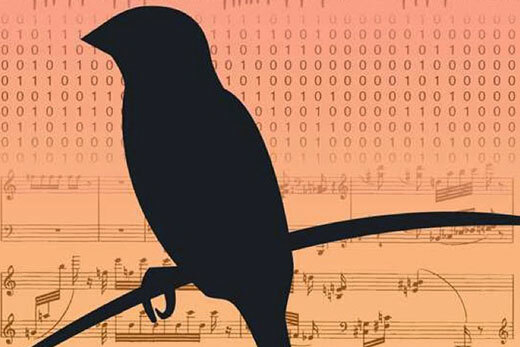 Songbirds learn to sing in a way similar to how humans learn to speak — by listening to their fathers and trying to duplicate the sounds. The bird’s brain sends commands to the vocal muscles to sing what it hears, and then the brain keeps trying to adjust the command until the sound echoes the one made by the parent. During such trial-and-error processes of sensorimotor learning, a bird remembers not just the best possible command, but a whole suite of possibilities, suggests a study by scientists at Emory University. The Proceedings of the National Academy of the Sciences (PNAS) published the study results, which include a new mathematical model for the distribution of sensory errors in learning.